(CNN) Don Benedict played handball competitively for 30 years in the Pacific Northwest. To stay in shape, he ran 5 miles every other day. But decades of pounding the pavement took its toll. When Benedict was 57 years old, he ruptured a disc in his back. And then it happened again. He had three back surgeries, and the last one, he says, made things worse. Bromine; Properties. Bromine is a dark-red, dense liquid with a disagreeable odor. It irritates the eyes and mucous membranes and, in contact with the skin, produces lesions which heal with difficulty. Chemically less reactive than chlorine, it combines with both metals and nonmetals. It acts as a bleach and oxidizing agent. Bromine was introduced a few years ago as an alternative to Chlorine, but does not work any better, and is actually much worse. 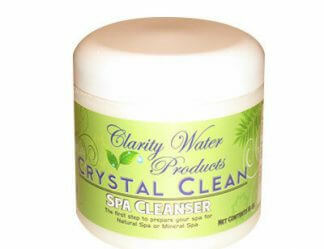 It’s in the same chemical family as Chlorine, a halogen, and is supposed to last longer in the hot water of a spa. But bromine is almost ineffective unless activated with Chlorine or some other oxidizer. 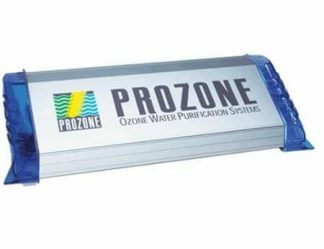 The bromine tablets you use in a floater also contain Chlorine. When the Chlorine gets low you have to add more tablets. This causes the left over bromine to build up to dangerously toxic levels. The next thing you’ll notice is an eye burning vapor when you open the cover, dry, itchy skin, difficulty breathing while in the spa, and ultimately the ‘bromine rash’ on your thighs and midriff. And while it is widely promoted that bromine doesn’t have the ‘unpleasant’ odor of chlorine, this is only true when all water conditions are ideal. Just leave the cover on for too long a time or let the water get out of balance and wham! You’ll discover just exactly why this chemical is called bromine, named after the Greek word bromos, meaning “stink”. 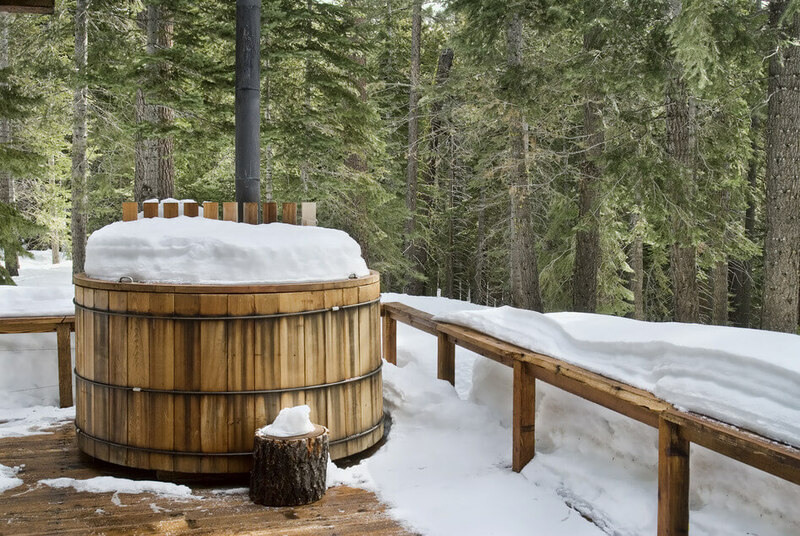 YOUR HEALTH – How Using Chlorine to Treat Your Hot Tub Affects You? Chlorine, n. a halogen element, a heavy, greenish-yellow, incombustible, water-soluble poisonous gas that is highly irritating to the respiratory organs, obtained chiefly by electrolysis of sodium chloride brine. Symbol: Cl. 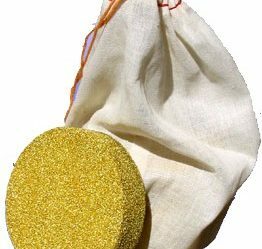 Any swimmer can tell you; Chlorine leaves your skin feeling dry and itchy, makes your hair dry, brittle, and prone to dandruff, destroys the elastic in your swimsuit and bleaches it out. It can cause a rash, or make one worse, irritate your skin, and leave your eyes feeling sore and itchy. If you do not swim very often you are free from the destructive nature of chlorine, right? Wrong. The fact is that here in the USA our municipal water systems are required to add chlorine to our water, and, depending on what is in the water that they are trying to destroy, levels of chlorine can be quite high. 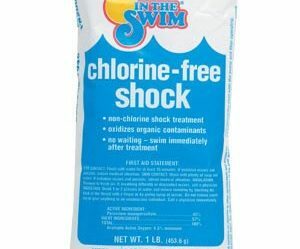 We started using Chlorine in the late 19th century to kill off diseases like cholera and typhoid. Even though the diseases went away, municipal water systems fell in love with chlorine and injected more and more into our water. Chlorine ‘burns up’ parasites and disease-causing pathogens with its harsh nature. Chlorine is a poison. Just as it attacks pathogens and parasites, it also attacks your body tissues. Chlorine effects the taste and health of your drinking and cooking water, but have you considered your bath water? Chlorine in your bath can cause the same damaging problems to skin and hair as the chlorinated water in swimming pools. When showering, the heat of the water causes your pores to open up and these enlarged pores absorb chlorine instantly. Most cosmetic products do not counteract the effects of chlorine on skin and hair, they just cover it up. But wouldn’t you rather just bathe in cleaner water and prevent these problems in the first place? You should filter the Chlorine and other harmful chemicals out of your bathing water. 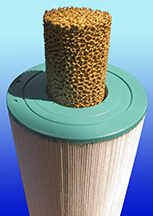 Shower and bath filters promise great cosmetic benefits by providing clean, pure water in which to bathe. Showering in filtered water leaves you with soft, luxurious skin and stronger, healthier hair. Using a shower filter also cuts back on the cost of lotions, moisturizers, and hair products. 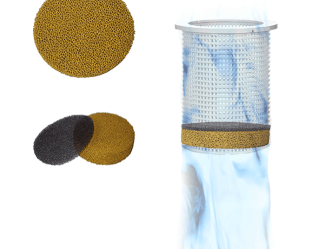 By eliminating Chlorine from the bathing experience, a shower filter can reduce fading of color-treated hair, making dyes last longer and reducing the time between visits to the hair salon. Besides damage to your skin and hair, Chlorine can cause health problems when inhaled. Inhaling chlorinated water vapors exposes you to Volatile Organic Chemicals (VOCs) and Disinfection By-Products (DBPs). These compounds can be incredibly dangerous to the delicate tissues in the lungs. 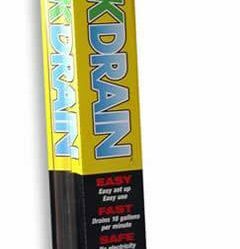 The hot water and close quarters in a shower vaporizes Chlorine, VOCs and DBPs and this toxic vapor is then inhaled. This chemical vapor is especially problematic for asthmatics, but it can cause similar lung and sinus problems even for those of us with healthy respiratory systems. In fact, inhaling the steam when you shower exposes you to more dangerous chemicals than drinking that very same water! Filtering your water provides the solution to these health problems. By using a water filter to eliminate the toxic chemicals in your water, costly trips to the doctor can be avoided. With its valuable health benefits, filtered water leaves you breathing easier and feeling healthier. 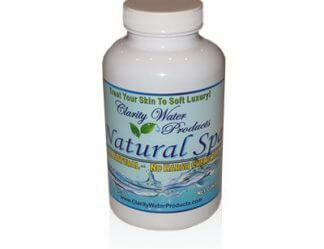 Chlorine is a dangerous enemy that dries and damages skin and hair and, when combined with VOCs and DBPs, causes permanent respiratory problems as well. We don’t really know what chemicals are in the water we use every day, and these chemicals can attack swiftly and silently. The cure for potential problems lies in pure, filtered water. Our skin and hair will no longer be Chlorine’s victim, and we can breathe easier knowing our lungs are safe from toxic water vapors. Water filters are your strongest defense in your battle against these chemicals. 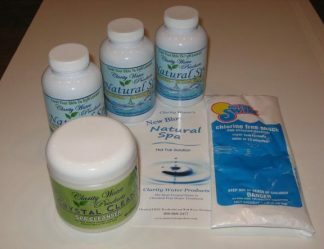 Just imagine the wonderful, clean feeling of naturally pure water! 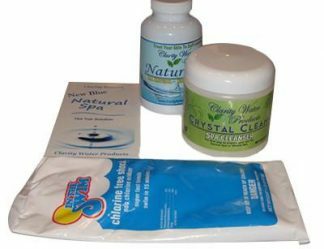 Chlorine is a very powerful chemical commonly used to sanitize water. Quite simply, chlorine has the ability to oxidize and destroy most any element it comes in contact with. 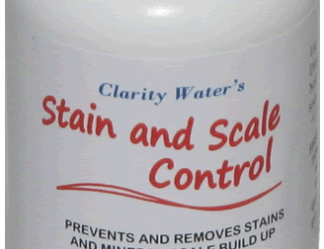 Anything not destroyed by the chlorine is bleached clear, so as not to be seen. Recently though, we have discovered that using chlorine to rid the water of organic contaminants leads to the formation of organo-chlorides, trihalomethanes (thm’s), chloroform gas, and MX. These compounds are suspected carcinogens, and cause the unpleasant odors and the skin and eye irritation you experience in a chlorine treated pool. Even the air around pools and spas can be deadly, as reported in 1998 in the American Journal of Public Health. The vapors rising off the pool contain endotoxins formed by the bacteria killed in the water by chlorine or bromine. Breathing these vapors cause pneumonitis; permanent damage to the lungs which causes pneumonia-like symptoms. Simply put, the United States Environmental Protection Agency has concluded that Chlorine causes cancer, damage to the immune system, damage to the reproductive system, hormonal damage and is a slow, silent killer. Because of these studies, the EPA announced in February of 1997 its intent to establish a Clean Water Plan to completely eliminate the use of Chlorine wherever possible. This same agency, the EPA, has unfortunately been very slow to recognize alternative forms of water treatment. To date, 4 years later, the only chemicals this agency recognizes as water sanitizers are Chlorine, Bromine, and Biguanide. No change from 20 years ago. There is, of course, intense political pressure from The Chlorine Council and other chemical consortiums to not ban the use of Chlorine. It is, quite simply, very profitable. The pool industry has grown up around Chlorine, and eliminating its use would mean eliminating most of the revenue they now enjoy, what with all the chemicals required when using Chlorine to prevent damage and maintain the proper water balance. You, fortunately, do not have to bow to these political or economic pressures in deciding how best to protect the health and welfare of your family. You have a choice, and we have all the best products to choose from!